How did Stephen Hawking live 55 years with ALS? Editor’s note: Stephen Hawking passed away March 14, 2018. 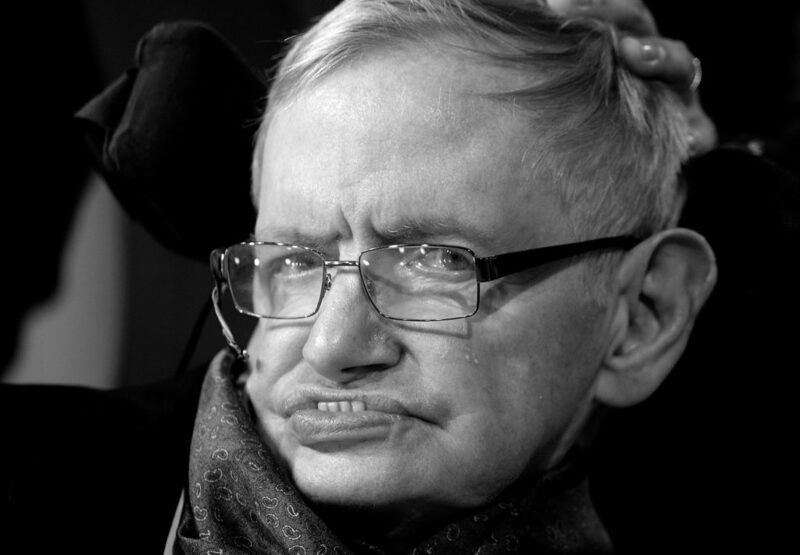 In this analysis from 2012, an expert on Lou Gehrig’s disease explains what we know about this debilitating condition and how Hawking has beaten the odds. Stephen Hawking turns 70 on Sunday, beating the odds of a daunting diagnosis by nearly half a century. The famous theoretical physicist has helped to bring his ideas about black holes and quantum gravity to a broad public audience. For much of his time in the public eye, though, he has been confined to a wheelchair by a form of the motor-neuron disease amyotrophic lateral sclerosis (ALS). And since 1985 he has had to speak through his trademark computer system–which he operates with his cheek–and have around-the-clock care. But his disease seems hardly to have slowed him down. Hawking spent 30 years as a full professor of mathematics at the University of Cambridge. And he is currently the director of research at the school’s Center for Theoretical Cosmology. But like his mind, Hawking’s illness seems to be singular. Most patients with ALS–also known as Lou Gehrig’s disease, for the famous baseball player who succumbed to the disease–are diagnosed after the age of 50 and die within five years of their diagnosis. 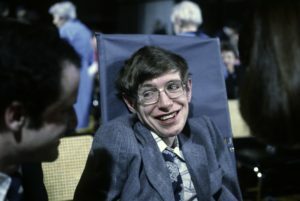 Hawking’s condition was first diagnosed when he was 21, and he was not expected to see his 25th birthday. Why has Hawking lived so long with this malady when so many other people die so soon after diagnosis? We spoke with Leo McCluskey, an associate professor of neurology and medical director of the ALS Center at the University of Pennsylvania, to find out more about the disease and why it has spared Hawking and his amazing brain. What is ALS–and is there more than one form of it? ALS, which is also known as a motor-neuron disease–and colloquially as Lou Gehrig’s disease in the U.S.–is a neurodegenerative disease. Each muscle is controlled by motor neurons that reside in the brain in the frontal lobe. These are controlled electrically and are synaptically connected to motor neurons that reside lower down in the brain–as well as motor neurons that reside in the spinal cord. The guys in the brain are called the upper motor neurons, and the guys in the spine are called the lower motor neurons. The disease causes weakness of either upper motor neurons or lower motor neurons or both. It’s just an incredible, incredible example of the variability of the disease–and the hope for patients who have it is that they could also live a long life. It’s been known for quite some time that there are variants of ALS. One is referred to as progressive muscular atrophy, or PMA. It appears to be an isolated illness of the lower motor neurons. However, pathologically, if you do an autopsy of a patient, they will have evidence of deterioration of upper motor neurons. There is also primary lateral sclerosis–PLS–and clinically it looks like an isolated upper motor-neuron disorder. However, pathologically they also have lower motor-neuron disorder. The other classic syndrome is called progressive baldor palsy–or progressive supranuclear palsy–which is weakening of cranial muscles, like the tongue, face and swallowing muscles. But it pretty much always spreads to limb muscles. Those are the four classic motor-neuron disorders that have been described. And it was thought for quite some time that these disorders were limited to motor neurons. It’s now clear that that’s not true. It’s now well recognized that 10 percent of these patients can develop degeneration in another part of the brain, such as other parts of the frontal lobe that don’t contain the motor neurons or the temporal lobe. So some of these patients can actually develop dementia, called frontal-temporal lobe dementia. One of the misconceptions about ALS is that it’s only a motor-neuron disease, and that’s not true. What has Stephen Hawking’s case shown about the disease? One thing that is highlighted by this man’s course is that this is an incredibly variable disorder in many ways. On average people live two to three years after diagnosis. But that means that half the people live longer, and there are people who live for a long, long time. Life expectancy turns on two things: the motor neurons running the diaphragm–the breathing muscles. So the common way people die is of respiratory failure. And the other thing is the deterioration of swallowing muscles, and that can lead to malnutrition and dehydration. If you don’t have these two things, you could potentially live for a long time–even though you’re getting worse. What’s happened to him is just astounding. He’s certainly an outlier. Has he lived so long because he got the disease when he was young and had the juvenile-onset type? Juvenile-onset is diagnosed in the teenage years, and I don’t know enough about his course to say. But it’s probably something similar to juvenile-onset disorder, which is something that progresses very, very, very slowly. I have patients in my clinic who were diagnosed in their teens and are still alive in their 40s, 50s or 60s. But not having ever examined him or taken a history, it’s a little hard for me to say. He’s a very good example of the sparing of the non-motor parts of the brain that can occur. How frequent are these cases of very slow-progressing forms of ALS? I would say probably less than a few percent. How much do you think Stephen Hawking’s longevity has been due to the excellent care that he has received versus the biology of his particular form of ALS? It’s probably a little bit of both. I just know him from television, so I don’t know what kind of interventions he’s had. If he really isn’t on a ventilator, then it’s his biology–it’s the biology of his form of the neurodegenerative disease that determines how long he will live. For trouble swallowing you can elect to have a feeding tube placed, which basically takes malnutrition and dehydration off the table. But mostly it’s about the biology of the disease. Hawking obviously has quite the active mind, and previous statements that he has made seem to indicate he has a pretty positive mental outlook, despite his condition. Is there any evidence that lifestyle and psychological well-being do much to help with patients’ outcomes? Or is the disease usually too quick for that to make a difference? I don’t believe that adds to longevity. ALS still doesn’t have a cure. What have we learned about the disease recently that might help us find one–or at least better treatments? Beginning in 2006 it became clear that like a lot of other neurodegenerative diseases, ALS was determined by the accumulation of abnormal proteins in the brain. Ten percent of ALS is genetic and based on a gene mutation. I’m sure there are also at-risk genes for ALS, but there are now multiple genes that have been identified as potentially causing the disease. Each one of them are interesting in that they lead to the accumulation of different proteins in the brain. Knowing specific genes gives us particular mechanisms in the brain, and would potentially give us targets for therapies. But none of this has given us any robust therapies yet. What does Stephen Hawking’s case mean for people who have the disease? It’s just an incredible, incredible example of the variability of the disease–and the hope for patients who have it is that they could also live a long life. Unfortunately, it’s a small percentage of people for whom that actually happens. This article is reproduced with permission from Scientific American. It was first published on January 7, 2012. Find the original story here.